UPDATE: Regarding the amazing Paul Boomer. A few months ago, I got a nibble from a business owner with a carpet cleaning business who had a gawd-awful web site. I could tell that her crap-o-la site was the sole reason that she wasn’t getting much business through the interwebs. It looked like someone had bedazzled an old pair of boxer shorts and called it a web site. Well, maybe not quite like that, but you get the idea. She didn’t have enough budget to hire both Paul and I for a full-on web overhaul, SEO and copywriting gig. I looked over the site pretty well. It had some decent copy…buried where nobody could find it. They had a nice pic of their van. Their phone number was almost impossible to find. I told her that I would try to cash in a favor from my WordPress wizard partner, but that I doubted he would do it. I asked her for a little more budget than she had available and called Paul. I convinced him to create a new site for her and severely limit the scope of client involvement and interaction. I knew Paul could do this one blindfolded and with earplugs in, if needed. He knocked it out of the park, just like he usually does. “It’s good to hear from you! I have been meaning to send you an update to tell you how amazing you are. But because you’re so amazing I haven’t had time! Our website is working just like you said! We’ve been getting quotes and testimonies through the website. Just the other day a gal called to schedule a cleaning and I was taken back because she was talking to me in a tone and as if we had been best friends for many years. She then told me that she reviewed the website and is so happy she was only going to use us! I know that I still have much to do to get this company functioning properly. But I am so thankful for you and what you have done for us. You have changed the direction of this company and I’m starting to feel the wind in our sails. It was the perfect alignment of project and available time for Paul. He had a brief lull in his pipeline and knocked it out in a day or two. I doubt if I could get him to do it again because he was paid way too little for what he delivered. But, boy did he deliver. He can do it for you too. Let me know if you want to meet The Boom. This week, I’m busy trying to move BrandingBlog to a new hosting company. So…I recorded a conversation with Paul Boomer about what kinds of things a site owner should consider as they contemplate a move. As we discussed how you should package up your content into boxes and cartons, I inadvertently gave one of my very best lessons on Microsoft Excel as well. I hope you enjoy it. We mentioned a couple of sites…one being my new host MediaTemple. Check them out. Another was www.downforeveryoneorjustme.com which is a good place to check first when you can’t get to a web site. NOTE: That is NOT an editing mistake at the beginning of the podcast. It’s a blooper. I left it in. On purpose. 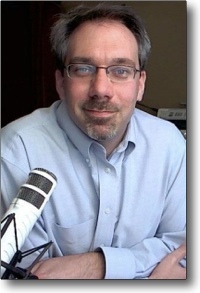 This entry was posted in Podcasts, Web/Tech and tagged brandingblog, hosting on March 2, 2012 by Dave Young. Adam: Welcome once again to BrandingBlog Soundbites, with Wizard of Ads partner Dave Young, from BrandingBlog.com. I’m Adam Lefler, hello Dave. Adam: Dave, today were sitting down talking about measuring radio effectiveness on a website. This entry was posted in Ad Math, Radio, Shortcut Blogging, SoundBites, Web/Tech on December 13, 2011 by Dave Young.